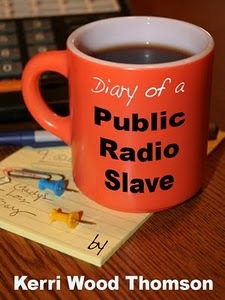 Bobo wants you to know that Diary of a Public Radio Slave is now available in paperback on Amazon for $9.99--and of course it is still availabe as an e-book for $2.99. So 10% will go to radio stations and 90% will go to diapers and curly fries. That sounds about right. Bobo has been scratching my furniture so 0% will go to her.